The tempered glass in your commercial building is designed for safety; the glass will shatter when broken instead of creating razor-sharp shards. 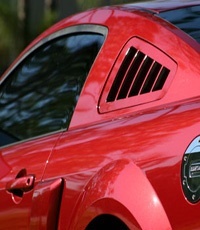 The drawback is that once the glass is damaged, it will need to be replaced. A broken window in your commercial building is more than unsightly; it poses a serious security risk, allowing ready access to the building's interior from the outside. As soon as a window in your building breaks, call Tri State Glass to schedule a replacement. If you are interested, we can board up your window until the replacement is complete. Businesses are like homes, with more people and more glass. 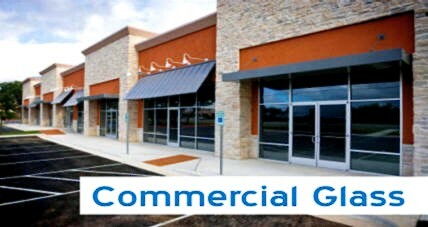 Our commercial glass experts offer quality replacement in Pueblo and surrounding areas. Don't compromise your family's safety by allowing windshield damage to get out of control. 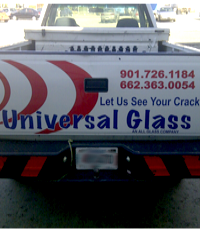 Give Universal Glass a call today! We offer on-site replacement in Pueblo and Surrounding Areas. Universal Glass is committed to providing our customers with excellent service for the best price. 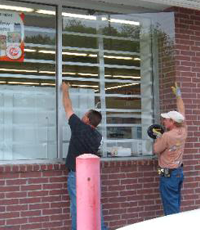 We are leading glass replacement specialists in Southern Colorado. Universal Glass is committed to customer satisfaction. 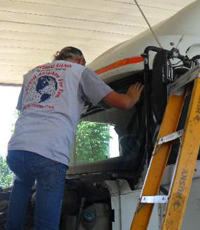 Universal Glass provides mobile auto glass service to Pueblo, Walsenburg, and in between. Universal Glass will come to your work, your home, or play to make sure your auto glass is replaced properly the first time.